Outside of ability to win silverware, a long underestimated method of judging coaching prowess, is how often a team manager is able to either switch his players from one position to another during games in a ‘total football’ manner first invented by legendary Ajax Amsterdam boss Rinus Michel, or convert players from players from one position to another on a permanent basis. Here are some of the most awes inspiring and productive player conversions of all time. When Pep Guardiola was named FC Barcelona supremo in 2008, the first two players he signed were Malian Seydou Keita and Brazilian Dani Alves. The latter was a complete unknown, as he had helped Seville to consecutive UEFA Cup triumphs playing as a right sided midfielder. Due to clogging of talent in Blagruana’s midfield, Guardiola decided to switch Alves to right back. The benefits were stunning as the Brazilian won over 20 trophies and created more than one hundred goals, most of them for Lionel Messi. To date, Alves is the most creative right back of all time. Arsenal record scorer Thierry Henry was a rough diamond of a winger when Arsene Wenger took a gamble on signing him from Juventus in 1999. After a season of settling in, Wenger converted Henry into a striker to compensate for the loss of Nicholas Anelka, who had been sold to Real Madrid. Henry’s reward to Wenger was two Premier League titles and a bucket load of goals. 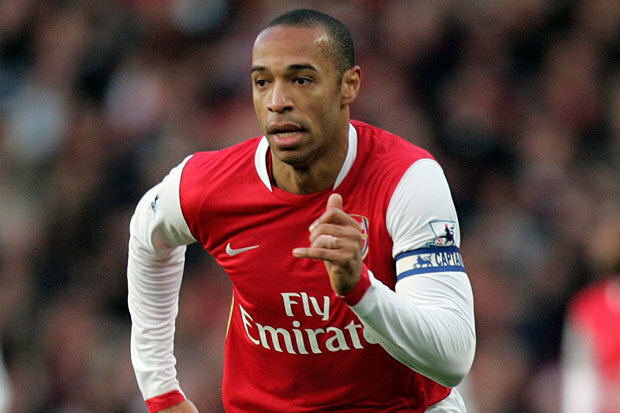 I still steadfastly believe Henry is the most devastating striker of the Premier League era. Dutch legend Frank Rijkaard was the epitome of a total footballer. A member of the 1988 European Championships winning side and great Arrigo Sacchi’s great AC Milan side, Rijkaard was able to seamlessly move from central defense into holding midfield. For Holland, he played as a defender, and for Milan, with whom he won the European Cup in 1989 and 1990, Rijkaard featured as a holding midfielder. Argentine Mascherano was the exact opposite of Rijkaard. He spent most of his early career as a bone crushing holding midfielder, before Pep Guardiola converted him into a central defender. Mascherano’s success as a centre back at Barcelona was bemusing as well as spectacular because he was only about 5 ft 9. This didn’t stop him and Blagruana from winning multiple Spanish Primera Liga and Champions League crowns. Pep Guardiola’s penchant for converting players from one position to another was once again on display when he took over at Bayern Munich. Lahm was such a runaway success conducting proceedings at the base of the Bavarians midfield, you could have thought he played there all his life. Need I mention that Lahm helped Bayern Munich to three successive Bundesliga titles and two Champions League semi-finals? Twice former World Footballer of the year Lotthar Mattheus was blessed with a soccer brain the size of rocket scientists and an engine as powerful as that of a Mercedes Benz. Germany’s World Cup winning skipper had already lost two finals when he guided Frank Beckenbauer’s side to glory at Italia 90. Mattheus spent the last six years of his career playing as a sweeper at Bayern Munich, frequently making mincemeat of strikers twice his height. Those with short memories forget that the first ever false nine we witnessed on the global stage was Fabregas. The then Barcelona midfielder was deployed as an invisible centre forward by Vicente Del Bosque as Spain successfully defended the European Championships in 2012. Fabregas’ role as a false nine allowed La Roja to dominate possession and control proceedings with minimum fuss. The result was Spain obliterating Italy 4-0 in the most one sided European Championship final ever. Johnny Come Latelies on the soccer scene only know former Real Madrid and Spain skipper Hierro as a sweeper. But long before he became La Roja’s top scoring defender, Hierro was a consummate box to box midfielder with real bite. His central midfield partnership with Perez Caminero at the USA’94 World Cup was the stuff of legend. Did you know that Manchester City and Portugal star Silva spent the early part of his career as a left back? Difficult to imagine, isn’t it? He was then converted into an inverted right winger, a position he occupied when Pep Guardiola signed him from Monaco. The Catalan has now converted Silva into a central midfielder of considerable repute, Bernardo has already been identified as heir apparent to his great namesake, David Silva. During the 1978 Uganda Premier League season, then Kampala City Council (now Kampala Capital City Authority) FC manager Jaberi Bidandi Ssali decided to solve his team’s shortage of goals by deploying sweeper Jimmy Kirunda as a centre forward. It was a risky venture that paid off staggering dividends as Kirunda set a new scoring record of 32 goals. His record lasted more than two decades until Andrew ‘Fimbo’ Mukasa bagged 45 in the early years of this century.